In 2018, timing systems brand Cloyes Gear and Products expanded its automotive replacement parts catalog and increased vehicles-in-operation (VIO) coverage by more than 20 million in the United States, through the addition of 44 new part numbers. These new part numbers are available for a variety of popular nameplates, including Ford, Nissan, Mazda and Volkswagen. 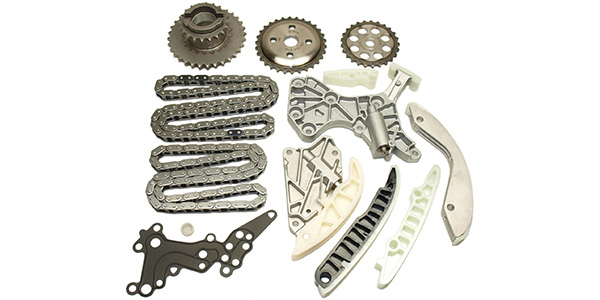 The newly released part numbers include a wide range of kits and stand-alone components, including timing chain tensioners, guides, sprockets and chains as well as complete timing chain kits and high-performance timing sets. To reduce warranties, customer comebacks and preserve long-term system performance, Cloyes recommends replacing all timing system components at the same time. All part numbers are available through Cloyes distributors in the United States. To view the complete Cloyes catalog, visit cloyes.com.